JEFFERSON CITY, Mo. — A judge has put a temporary halt on all discovery on a lawsuit that demands records from a not-for-profit that was formed to support then-Gov. Eric Greitens and his priorities. 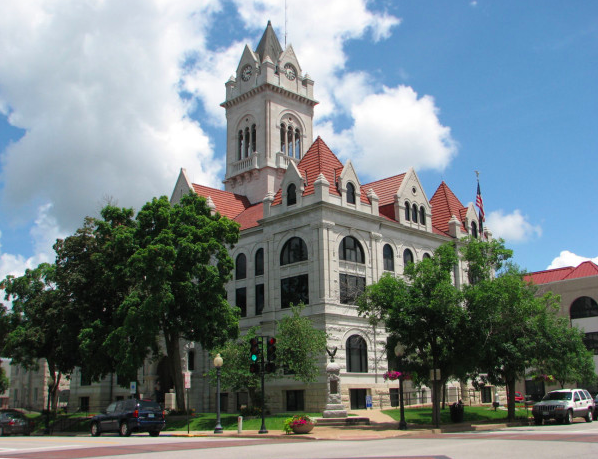 Cole County Circuit Judge Jon Beetem issued an order following a Thursday hearing putting a stay on discovery until A New Missouri Inc.’s motion to dismiss is ruled on. The motion will be argued on October 4, 2018, at 11 a.m. The lawsuit filed on June 22, 2018, by St. Louis lawyer Elad Gross, who worked as an assistant attorney general under Koster, seeks financial records from A New Missouri. Contributors to the not-for-profit organization are not included in the request and protected under Missouri law. A New Missouri is represented by Catherine Hanaway, a former speaker of the Missouri House, and JoAnne Sandifer. Gross is representing himself. A New Missouri claims to work for “the advancement of social welfare by promoting policies and/or legislation to create more jobs, higher pay, safer streets, better schools, and more, for all Missourians,” cited Gross. He said that as a Missourian, he benefits from the groups work. Sandifer said that she doesn’t read the statute nearly as broadly as Gross does, arguing he has no legal standing to file. In court, she argued that A New Missouri is a 501(c)(4) organization and that there is not set up to benefit a particular group, instead promoting social welfare in general. The state law Gross used to as a basis for filing does not provide a general right of the public to access corporate records of nonprofits, the defense argues. Hanaway filed a motion to dismiss the case on August 15, 2018. That motion is set to be argued at the October hearing.